Today, the majority of children diagnosed with acute lymphoblastic leukemia (ALL), the most commonly occurring childhood cancer, are cured. Yet some young patients don’t respond to chemotherapy, and in others, the cancer returns, sometimes again and again. Looking for new options for these patients, scientists have unveiled cancer immunotherapy, which strengthens the body’s ability to eradicate cancer using its own immune system. “It’s remarkable—the dramatic results we’re seeing with CAR-T therapy,” says Nirali Shah, MD, a physician researcher at the National Cancer Institute (NCI) who is leading a clinical study based on this treatment. CAR-T therapy, short for chimeric antigen receptor T-cells, is an approach called adoptive cell transfer. What that means is that doctors use a cancer patient’s own immune system – one of the most powerful disease-fighters known to medicine – to attack his or her own cancer like it would an infection. Being treated with CAR-T therapy is very different from swallowing a pill or getting chemotherapy through a vein. CAR-T cells are customized for every individual, but generally target a specific leukemia cell surface marker. When Dr. Shah first sees a young patient with ALL, the first step is a blood test to see if the child’s tumor cells have the specific leukemia marker and are recognizable to the CAR-T cells. If they are, Dr. Shah explains, she removes immune cells from her patient, and the cell processing team weaponizes the immune cells (T-cells) by attaching a chimeric antigen receptor, or “CAR,” whose job is to seek out and destroy cancer cells. 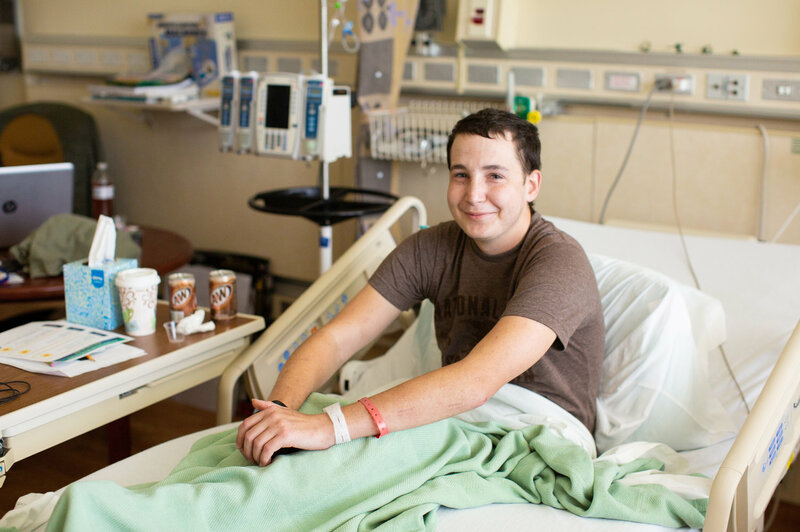 Inn resident Aaron, 20, prepares to receive treatment for his leukemia with CAR-T cell therapy at the NIH Clinical Center. Photo courtesy of Pearl Mak/NPR. Listen to or read his story, covered by NPR. The process of making custom CAR-T cells takes about 7-10 days, enough time for the “living drug” to grow and then be injected back into the patient. Somewhat counterintuitively, when Dr. Shah’s patients start feeling bad and spiking fevers, she knows the treatment is working. That’s because feeling ill is the body’s response to the immune system getting activated. For Dr. Shah’s patients, other lab tests can actually track the growth and movement of the powered-up cells inside her patients, as well. Inn resident Aaron rests in an exam room at the NIH Clinical Center. Photo courtesy Rebecca Davis/NPR. Listen to or read his story, covered by NPR. Although the very first pediatric CAR-T cell recipient treated elsewhere has now been cancer-free for almost six years, not all patients have had continued benefit from CAR-T therapy. Some patients will have their disease come back after CAR-T cell therapy, and Dr. Shah and the team within the Pediatric Oncology Branch are developing new strategies to treat these patients. Currently, all patients getting CAR-T therapy are those people whose cancer is not responsive to standard chemotherapy or has come back or who have developed new tumors. Someday it may be used earlier in the treatment course, as a “first-line therapy,” and research studying the optimal timing for CAR-T cell therapy are underway. For now, young cancer patients who come to NCI and to The Children’s Inn are brave pioneers in an exciting time of medical progress. 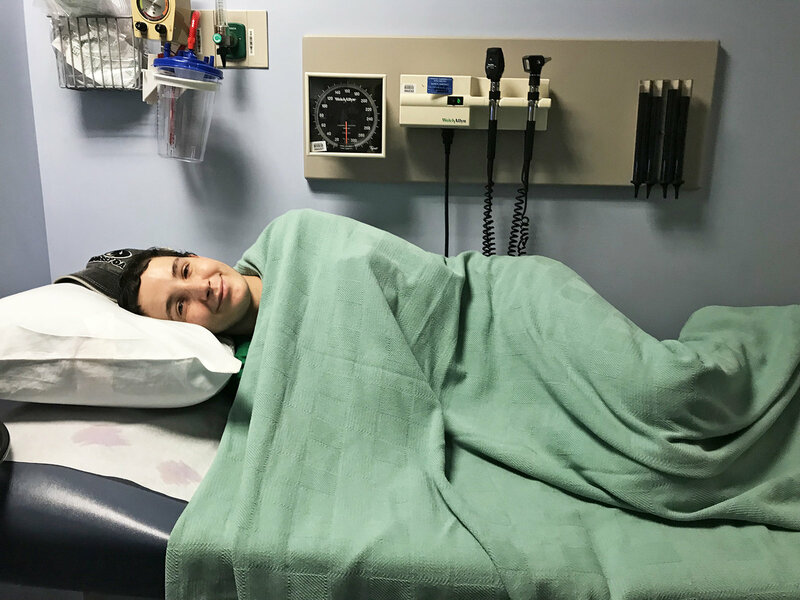 To learn more about the advancements in CAR-T therapy, follow the journey of Dr. Shah’s 20 year old patient, Aaron Reid as detailed in parts one and two of his story on NPR.